Easily wipe clean. Shielding from non hygienic surface. Great for school age activities. 1 in. thick. 60 in. L x 60 in. W. Serving as a gentle, soft place for just play! Play is a child's most important work and The Children's Factory continues to be the World Leader in Soft Play. If you have any questions about this product by Children's Factory, contact us by completing and submitting the form below. If you are looking for a specif part number, please include it with your message. 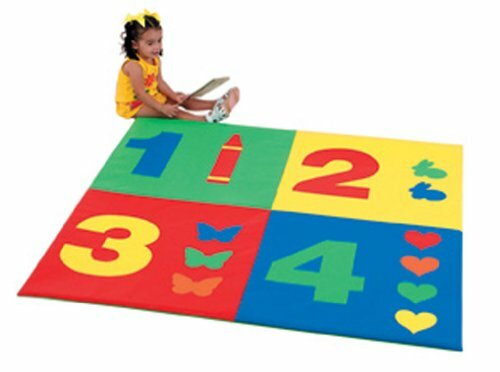 Parklon Twinkle Star Sillky Baby Playmat 78.74" 55.11"